Ready to give your home in Honolulu a much-needed update? The kitchen is where most people start because it’s the heart of the home. If you’re tired of looking around your outdated kitchen, you’re in luck – we’re here to help. There are all sorts of kitchen remodeling ideas for your Honolulu home. Your renovation idea can be simple or complex, inexpensive or costly. You may want to do something basic, like swap out your décor or replace your cabinet and drawer pulls. Or, you may be ready for a more massive overhaul, like replacing and upgrading your appliances or even expanding the size of your kitchen. Where you should start depends on your preferences. What drives you crazy about your kitchen? What aspect of it are you sick of looking at? Is it the peeling paint or retro wallpaper? Do you feel like you can’t prep meals effectively because there isn’t enough counter space? Does your kitchen function well, but you don’t like being in there because it doesn’t go with your style? 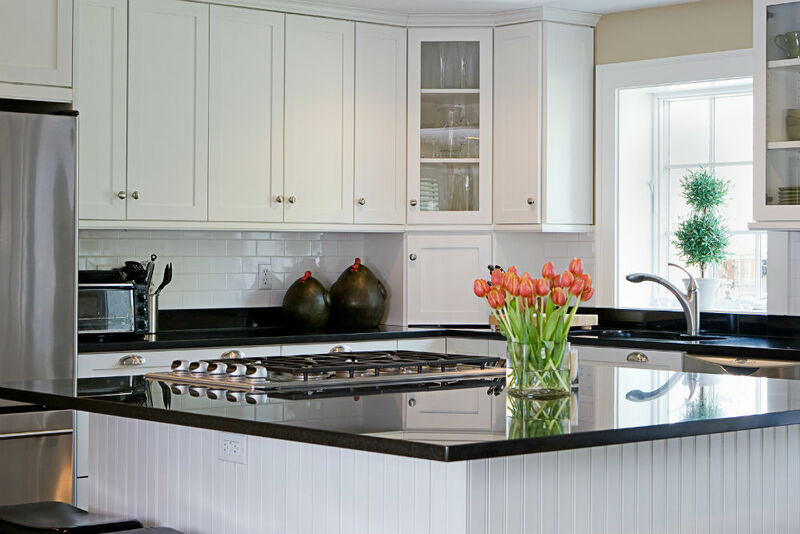 Determining exactly what it is that you don’t like about your kitchen will inform the changes you should make. If there’s more than one issue that needs attention, start with the one that will make the biggest impact on your happiness. Countertops and Floors: Countertops and replacement flooring can be large kitchen renovation expenses, but sometimes they can’t be avoided. Replacing a vinyl or linoleum floor with hardwood, laminate flooring, or tile can instantly change the entire feel of a kitchen. The same is true for replacing so-so countertops with a luxury surface such as granite or cultured marble. Consider these Honolulu kitchen remodeling ideas if splurging on these big-ticket items will give you the most bang for your buck. Kitchen Cabinets and Hardware: Worn and/or impractical kitchen cabinets can be a real drag on the design of a kitchen. Cabinets can be either resurfaced or replaced, and this can make a dated kitchen look modern again. A new configuration of cabinets can help make cooking and storage more practical for you and your family. Resurfacing is a cost-effective option if your budget is limited. The Kitchen Work Station and New Appliances: Consider upgrading your appliances. Homeowners can make their kitchen space more practical when they replace their old appliances with a new range, a different kitchen sink, and a more energy-efficient refrigerator. These appliances can also completely change the look of a kitchen. 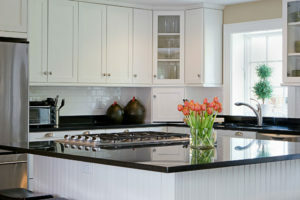 Maybe the rule of thumb for kitchen remodeling Honolulu is not to invest your whole budget in one part of your kitchen. Make your budget stretch as far as possible into more than one area to maintain a reasonably well-matched kitchen design. It makes no difference how nice your kitchen floors look if the rest of your kitchen looks completely outdated.